"In the world, there are different kinds of people," opens Up Above and Down Below. On the top, they think the ones on the bottom are different. Down below they think the ones up above are different. But what if they turned themselves upside down? Would they find that they're all the same, except in a few small ways? Through award-winning translator Susan Ouriou, author-illustrator Paloma Valdivia explores this complex philosophical question and encourages young readers to appreciate the differences among people as well as their similarities. 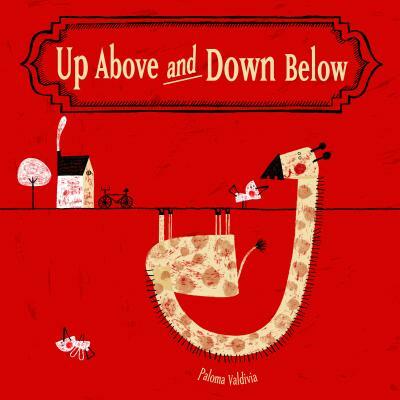 The short sentences and stylized, surreal illustrations will draw readers into the whimsical worlds of up above and down below, delighting and enlightening them as they complete their tour. Paloma Valdivia studied graphic design in Santiago de Chile and illustration in Barcelona. She has illustrated more then twenty children's books. Up Above and Down Below is her authorial debut; it has been translated from its original Spanish into nine other languages. She lives in Santiago de Chile.